Check out this great video Winger created of our team get together last month. We’re making one webisode every month or so throughout the season so you’ll be able to follow our progress as we stomp some heads in this season. HB Show Episode 1. Man was I fat back then. It snowed again. 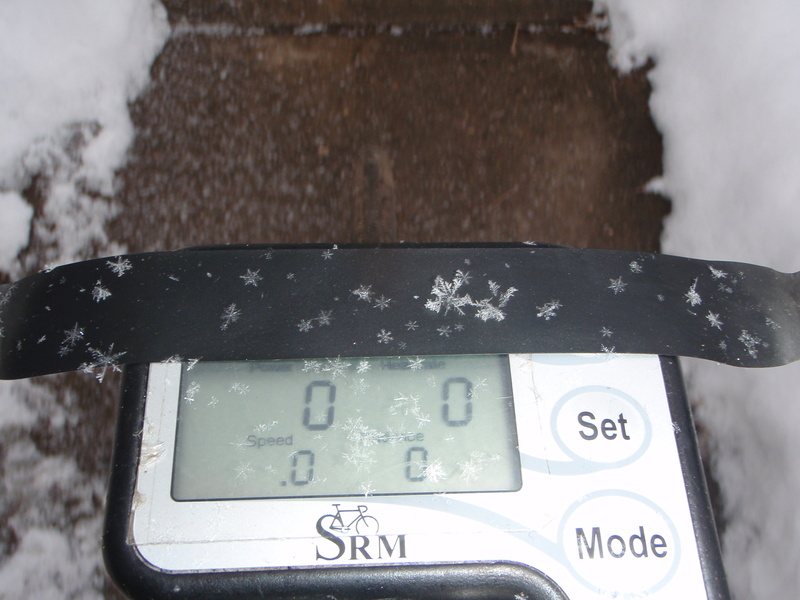 I had to ride the trainer twice during the miniature storm because the snow wasn’t thick enough to shovel. My rash cleared up. I suspect it was caused by using too much detergent in the laundry machine (repeatedly) since I thought extra soap might kill whatever might be in my clothes that was giving me the rash. Goes to show that humans are our own worst enemies. It’s really cold now. I did a long ride the other day and another longish ride today with some hard intervals and I can really feel the cold zap the life from my body. I’m looking forward to anything above 38 degrees. 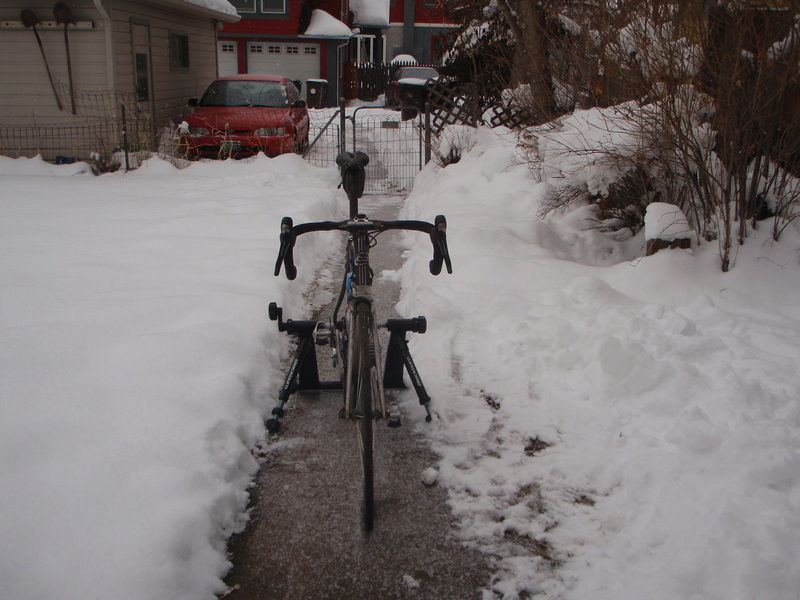 I’ve also been wondering how riding and living in the cold will affect my racing this season, since it’s been three or four years since I spent a winter in a wintery place. In a way, I think it will help. I’ve been reading a bit about the cold and how it affects certain growth hormones. Living in a warm place the entire year might affect the on and off switch for those hormones in an adverse way (so I’m telling myself). One thing the cold does help with is increasing fat-burning capabilities, since more calories are needed to maintain core temperature homeostasis. If nothing else, as long as I don’t get sick, training in the cold will result in quite a bit of hardening up. If you’re on Twitter, please follow my team, hbcycling. If you’re not on Twitter, create a Twitter account or two and follow us. For every Twitter person I recruit I get one Chipotle burrito. The strange thing I recently found out about using a fluid trainer in below freezing temps is that the fluid inside turns slushy (I’m assuming this is the case) and creates more resistance. I don’t know if I’ve ever seen individual snow flakes this clearly before. They say every snow flake is unique. So what. Every grain of sand is unique too, just like every molecule of anything. The only non-unique things are ideas and catch phrases, which are both a dime a dozen. HB video. Watch it: HB Show Episode 1. Follow us on Twitter. Be our fan. Support us by supporting our sponsors. Support Kennett’s burrito consumption. Burritos are good. Follow KPburritos on Twitter.